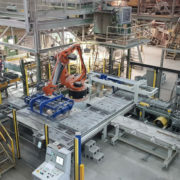 The quality and the manufacturing excellence are the particular strengths of the group that focus on using the best manufacturing technologies. 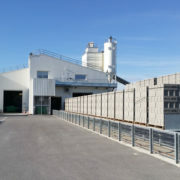 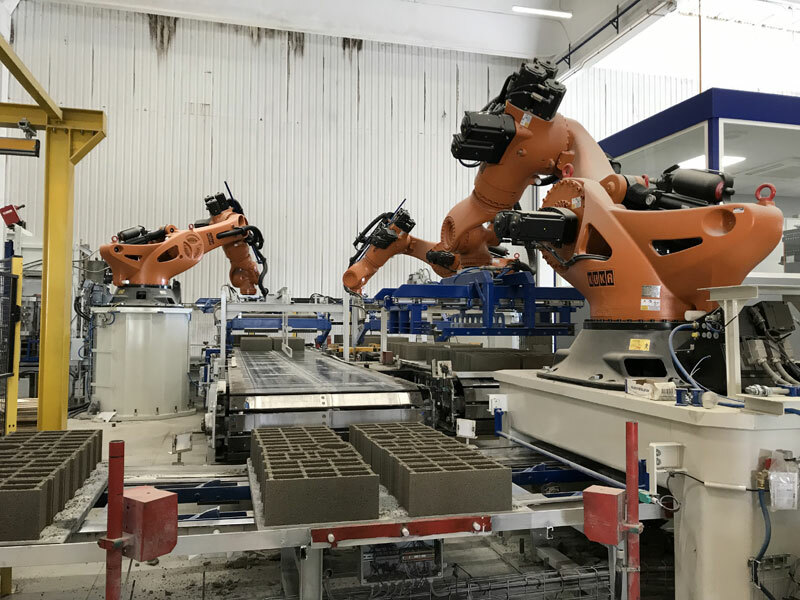 Following the realisation of manu projects with the manufacturer of Equipment Quadra, Fabemi renewed its confidence in his partner with the modernisation of its plant of hight capacity of production. 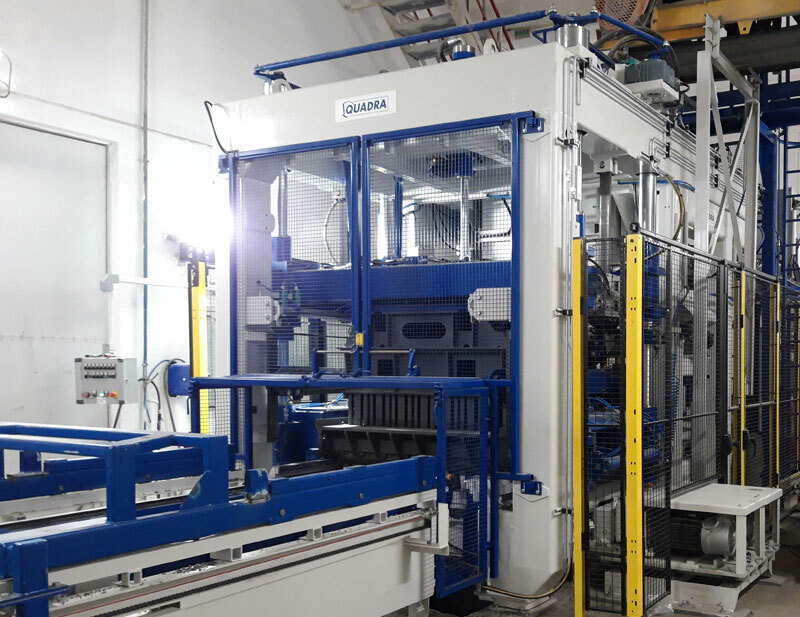 The technical challenge perfectly taken up by Quadra was the integration of a new generation vibrating press within an existing plant, in reusing some Equipment. 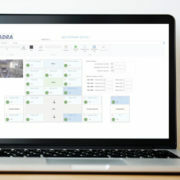 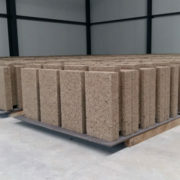 The thorough study and in-depth analyse carried out by Quadra enabled the new block machine to manufacture a volume of production that was never reached, without being disturbed or slowed by the other Equipment. 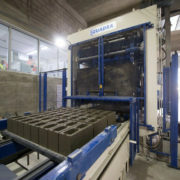 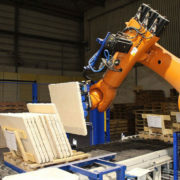 In order to make use of the performance of the block machine, Quadra has recommended to replace the traditional palletising equipment with a modern Equipment fully automated and robotized and removing all the hydraulic functions. 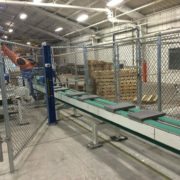 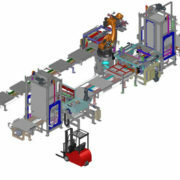 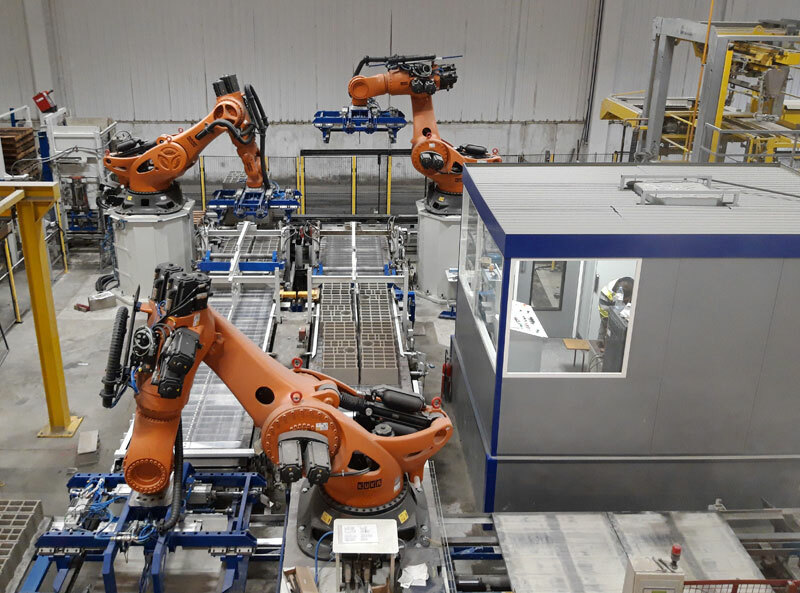 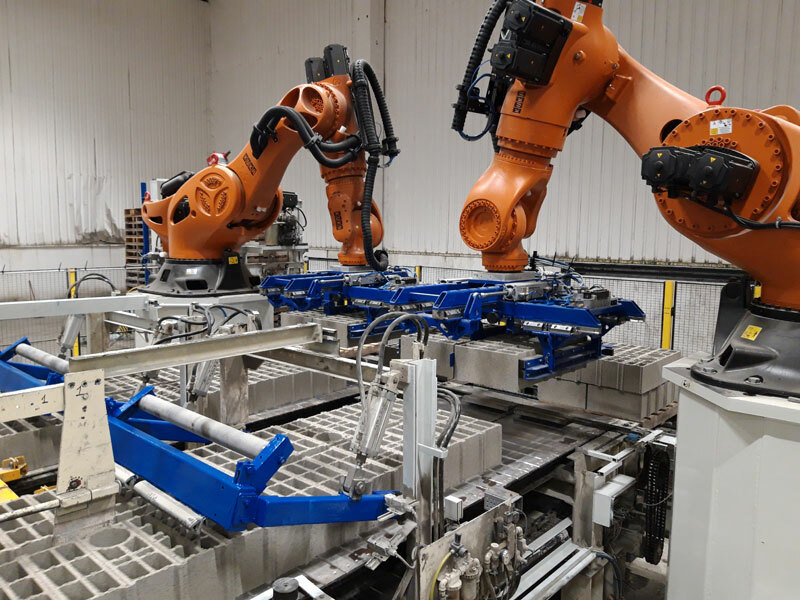 This new cubing line consists of three robots operating simultaneously, following the cycle time of the vibrating press, within operating condition combining precision, speed, flexbility and reliability.